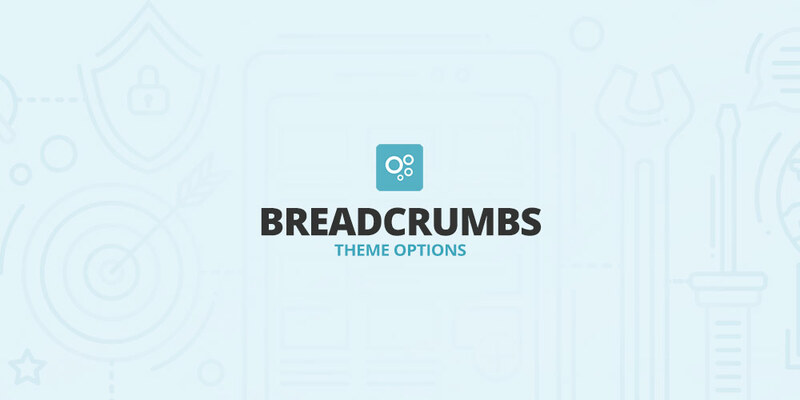 Breadcrumbs are used for better navigation on the website as they show its hierarchical structure (parent pages of the current page), therefore thanks to breadcrumbs, user always knows where he currently stands. In Theme Options -> Breadcrumbs you can set the Separator that will separate individual pages (links) in the location string. You can choose e.g. / or > or add any other symbol. You can also choose your own text for the home link displayed in breadcrumbs. These settings also contain ON/OFF switch for the Website Title. What is it good for? If you use WordPress Multisites and you leave this parameter on, it could happen that the user navigates to some other, non-related subpage via Website Title, as the multisites are linked together. Therefore it is better to turn the current Website Title off, so that it is not shown in the breadcrumbs. 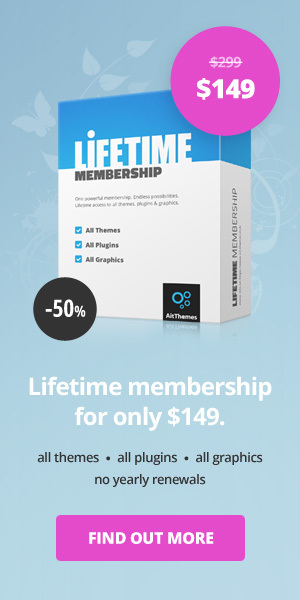 But if you use a standard WordPress installation, this parameter is irrelevant for your website. It is very simple to hide navigation on a particular page where you don’t need it to appear. You just have to log in as administrator and open the relevant page. 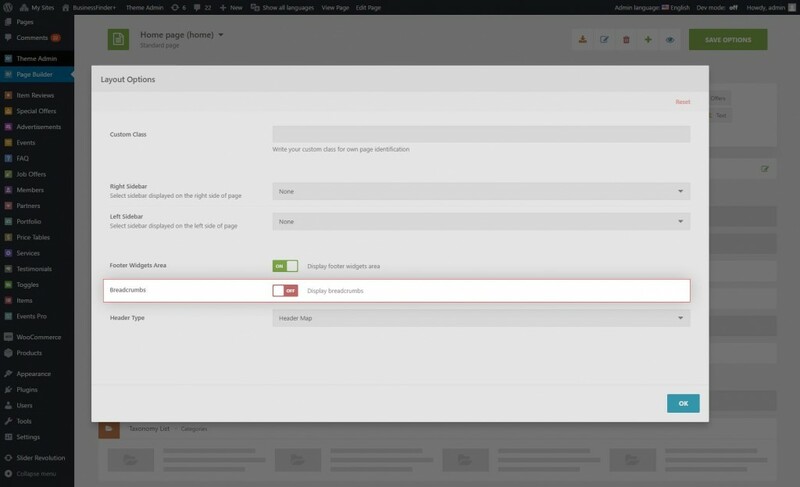 Then click on Page Builder located on the panel at the top of your page and subsequently in Layout Options you can simply turn the breadcrumbs off. Don’t forget to save your settings.